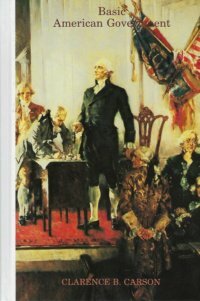 It would be a considerable fraud to do a book on American government that talked as if the Constitution were still being substantially observed, that pretended that when Presidents took the oath of office they intended to observe the bounds set by Constitution, that Congressmen recited their pledges with the same intent, and that federal judges were still interpreting the Constitution as it was written. In sum, any book on American government ought to make clear how remote from the Constitution the government has become. Basic American Government does just that. We looked at dozens of texts before settling with delight on this volume. It provides exactly the kind of basic outline we need for a high school civics class. 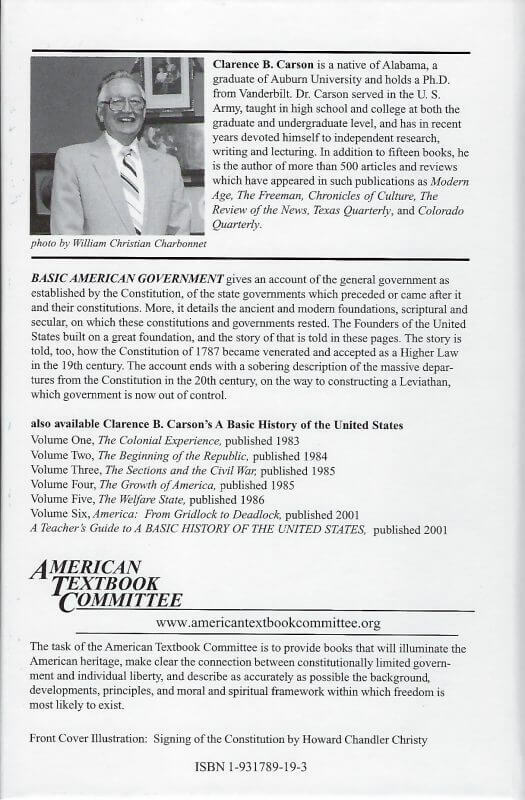 Mr. Carson offers an astonishingly broad perspective on the entire range of cultural and historical sources that lay behind America’s constitutional government as it was being born. He also provides a thorough view of the historical events that have permitted our national government to become the Leviathan it is today. For a work that covers so much difficult and complex material, this book is astonishingly thorough, well-organized, and easy to read.